As a mom, wife, sister, daughter and entrepreneur I understand busy! The day’s demands never seem to end! This image came out of a need to get away from it all. Ok, I wasn’t quite alone. My sister, my son and I got up at oh-dark-thirty one morning and went for a hike through the countryside. We stalked through cornfields, climbed through barbed wire fences, traipsed through knee high grasses, and came out on this lonely country road overlooking a never-ending sea of green. So peaceful, so silent, so isolated. As we walked along the two and a half miles of road to get back to our vehicle we had plenty of time to talk and reconnect with our selves outside of our busy lives. 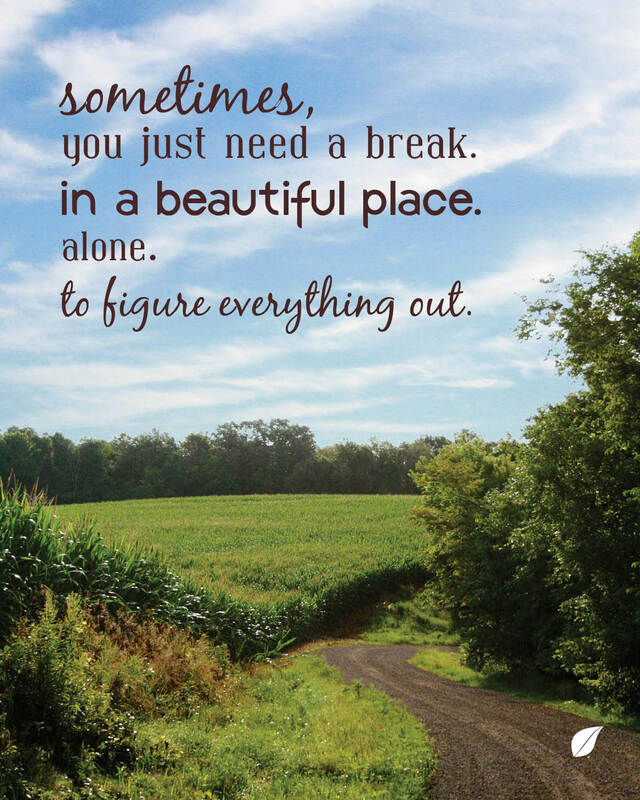 When life seems to be too much, take a break; find someplace beautiful, and rediscover yourself.